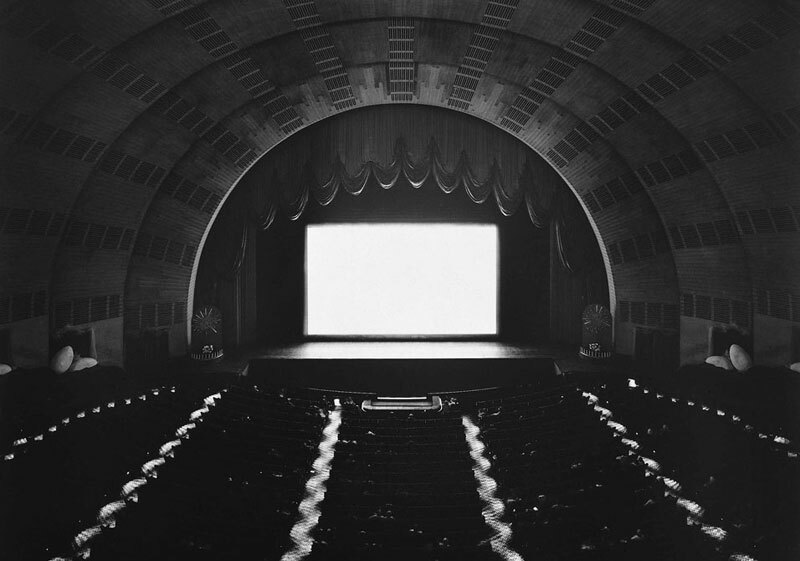 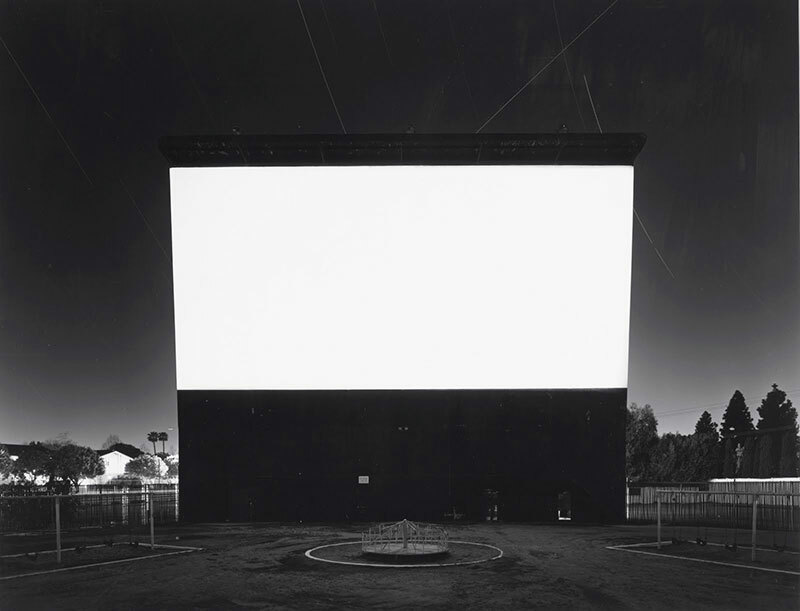 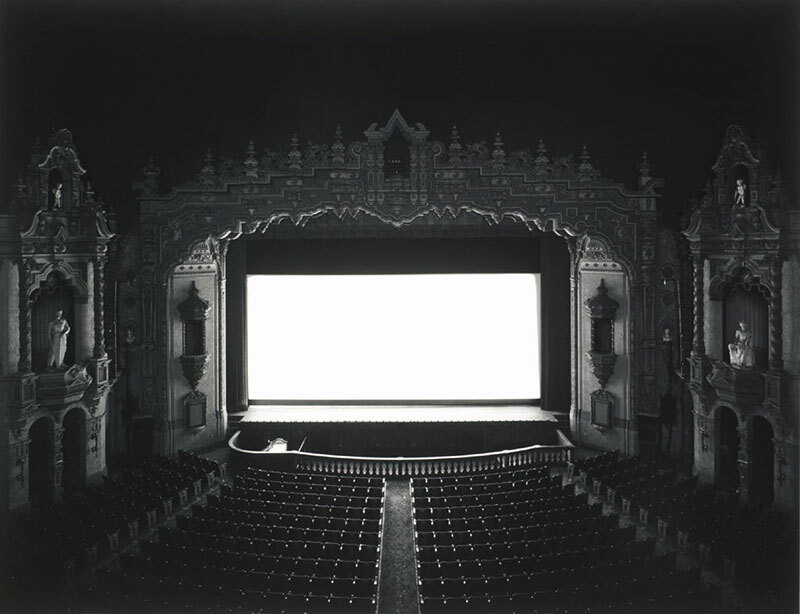 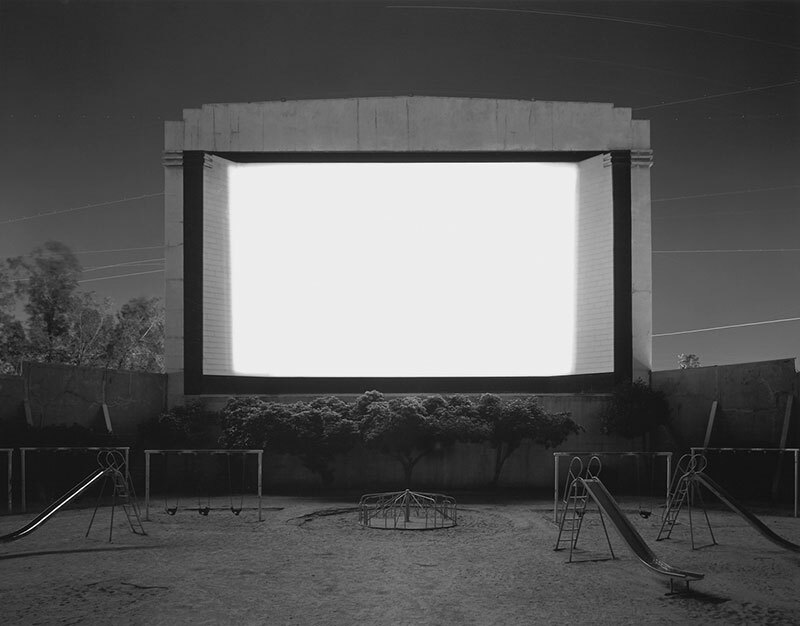 Starting in the late 1970s, Hiroshi Sugimoto took pictures of cinemas interiors and drive-ins with the aim of encapsulate the whole lenght of a movie in a single shot. 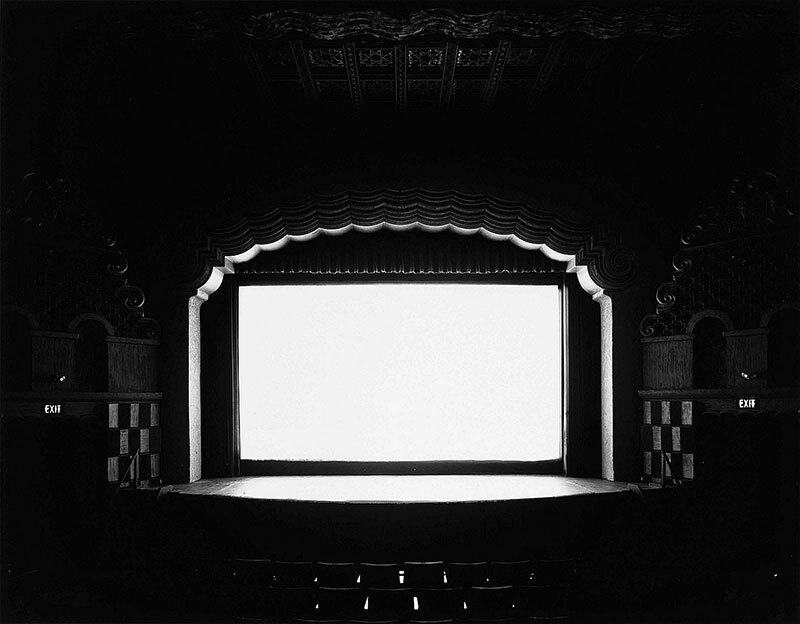 He left the camera shutters open throughout the running of a movie and the glowing screen of the cinemas was left as a trace on each take. 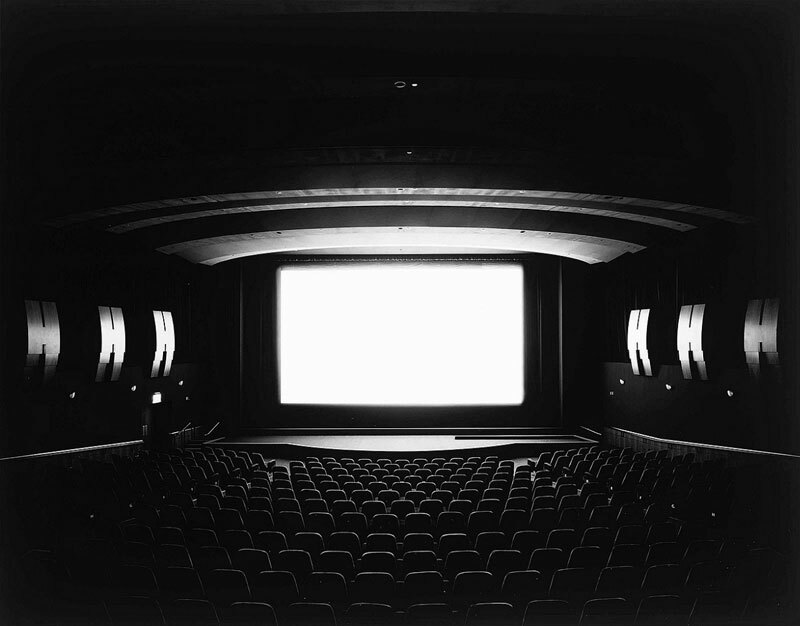 A somehow uncanny light resonates in the dark cinema halls. 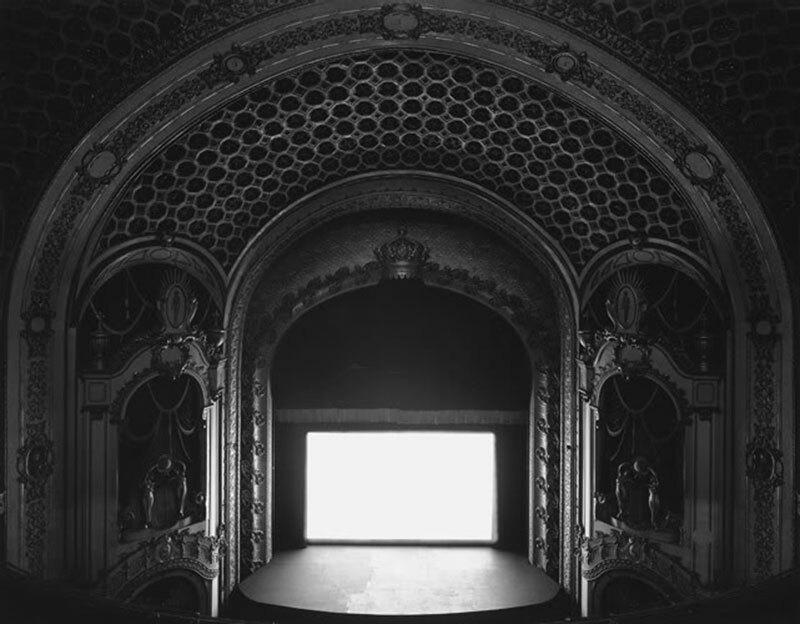 At a further glance, this central light ethereally underlines the rich architectural details of the theater interiors. 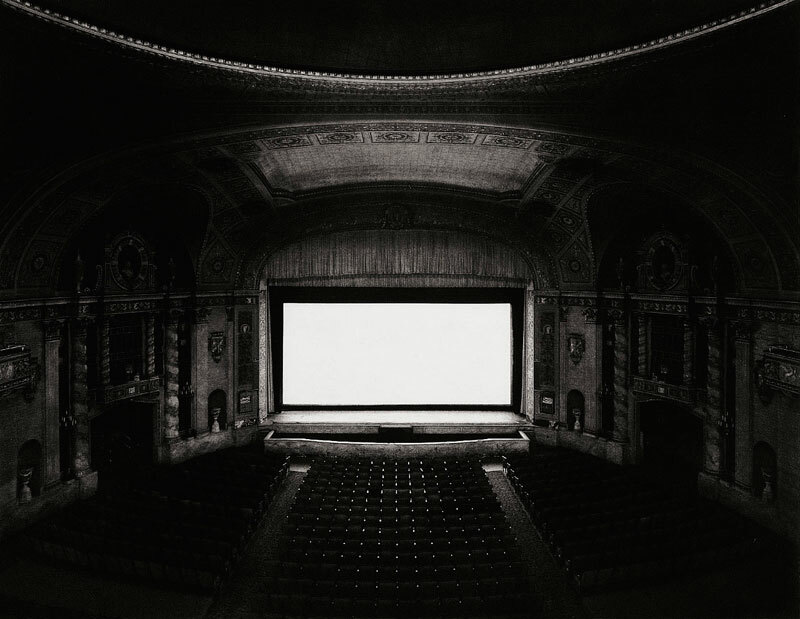 You might want to confront Sugimoto’s work with Michael Wesely’s, a photographer that uses to take photographs featuringi 3 years long exposures: read “The passing of time“, (on Socks).